When I read this book I was neck-deep in new house projects. I hadn’t physically read a book in what felt like forever (*tears*), often opting for audiobooks that I could listen to while painting an endless amount of ceilings and walls. With LITTLE DO WE KNOW, I was immediately pulled into the mystery of what could’ve caused a lifelong friendship to splinter in half. 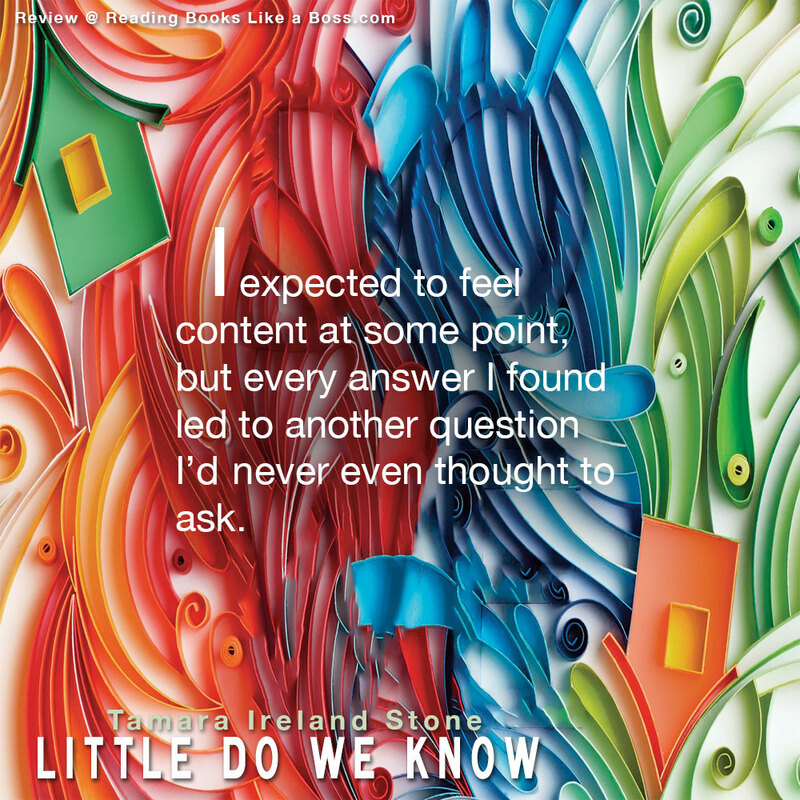 Stone thoughtfully explores the dynamic of teenage friendship, coming-of-age, and first love in an authentic way. Hannah and Emory were lifelong best friends until a hurtful exchange severed their bond, an event that’s not revealed until towards the end of the novel. Both girls must navigate through a frenetic time in most teenagers lives: senior. The death of their friendship affects them both in different ways. Hannah comes from a strong Christian family, her father is a pastor and head of her Christian school. A man who she’s always looked up to and has hung every word. But Emory’s harsh words towards her that day cause her to start questioning what she believes and what her father says. 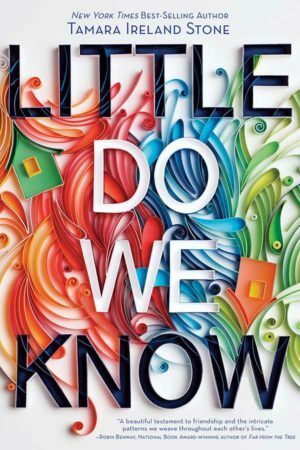 This novel’s strength is how beautifully it delved into the coming-of-age story. We all reach a point in our lives where we begin to form our own opinions and set of values; whether it be faith, morality, political or otherwise. Sometimes this journey leads us in an opposite direction than what our parents have impressed upon us. Other times, it may help you gain a better foundation for long held beliefs. Here Hannah starts exploring her faith and figuring out what she believes, something that up until that point had been a strong pillar to who she is. Over time, this exploration begins to shift and change her outlook towards. It’s this personal journey that really added to the story for me and I liked seeing her character change and evolve. Faith is a something that Stone explores in this novel. She doesn’t negatively talk about the Christian faith. Rather, she uses Hannah’s family and their faith as a way to illustrate the coming of age story. With Luke’s accident, he begins to have his own personal awakening, discovering what faith means to him. I felt like the resolution to the story could have been improved upon. Towards the end, the reader finds out what happened between Hannah and Emory, which was somewhat anticlimatic. Once that was revealed, the story ended rather abruptly. There needed to be more explorating on the side of healing and less on the build up to that moment. Also, the whole storyline between Hannah and Aaron felt somewhat pointless in the end. I think the end result could have been the same but I wanted that plotline to be more fully explored to make it more satisfying to the reader. The same can be said about the resolution to Emory and Luke’s relationship. Once we find out where they ended up, I felt like the whole fight to be together felt at odds with the resolution. I would highly recommend this to lovers of character driven young adult contemporaries. This novel hooked me from the beginning. It doesn’t rely on any overly dramatic plotlines (for which I was grateful) and it was really super hard for me to put down. * Thanks to Disney Hyperion for providing me with an advanced copy for review!